Almost half of interdisciplinary care staff at PHC’s five long-term care facilities exhibit signs of burnout, according to an article published this week in Palliative Medicine. 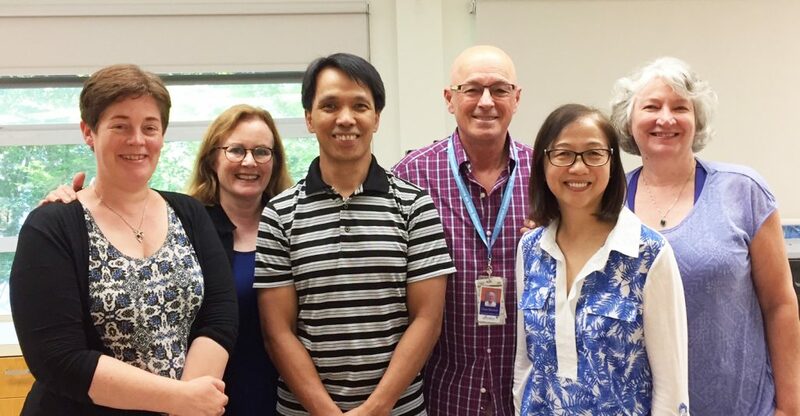 CHÉOS Scientist Dr. Joseph Puyat led the publication as a part of his involvement with a team of residential care staff funded by the 2015 PHC Practice-Based Research Challenge. PHC residential care facilities are increasingly providing end-of-life care — in 2013, 35% of residents died during the course of the year and 8% died within the first 3 months of care. This trend is due to the fact that new residents are being admitted in frailer state and with a larger number of life-threatening illnesses. In mid-2016, all interdisciplinary staff who provide direct clinical care at PHC’s five long-term care facilities in Vancouver were surveyed. Over 200 staff members responded to open-ended questions and completed a survey, demographics questionnaire, and a burnout measurement scale. Specifically, the burnout tool measures emotional exhaustion, depersonalization (social detachment or withdrawal), and low personal accomplishment (feelings of inadequacy), and can be used to assess a person’s risk of burnout. Ninety percent of staff cared for one or more dying residents in the preceding 6 months — 31% experienced emotion exhaustion, 7% experienced depersonalization, and 20% exhibited low personal accomplishment. In total, 46.3% of surveyed staff members had at least one sign of burnout. Thematic analysis of the open-ended questions revealed feelings of angst, distress, and thoughts about mortality. Staff expressed the needs for support and resources for dying residents as well as for the staff providing care to those patients. Supports that staff considered to be helpful included debriefing with staff and families, effective interaction between care team members, and educational workshops about death and dying. This research project was led by team members Anne Leclerc, Annes Song, Kit Chan, Karen Pott, and Chris Bernard. Dr. Paddy Rodney of PHC and the UBC School of Nursing and Dr. Puyat were mentors for the project. The team is preparing a final report which will be released soon. A brief summary is available here and an article about the project can be found in PHC’s the Daily Scan.